Probate fees increase pushes application costs up to £20,000. Plans for a probate fees increase have shocked everyone. The Government is going to charge probate fees based on the value of the deceased person’s estate. At the moment an application for probate costs £155 if it’s made through a solicitor or £215 if a personal application is made; regardless of the size of the estate. From May 2017 the fixed application fees are being swept away. It’s perhaps not surprising some people are calling this a stealth tax on bereaved families. Paying for the new probate fees is going to create a headache for anyone who has to administer a deceased person’s estate. Although banks usually agree to release money from the deceased’s accounts to pay for funeral expenses and inheritance tax, they do not routinely release money for probate fees. Unless the banks change their policies the deceased person’s family will have to pay the probate fees themselves. Some families who are suddenly faced with finding thousands of pounds to pay to the Probate Registry may struggle. Will everyone have to pay the increased fees? Estates worth less than £50,000 won’t have to pay a fee and some banks and building societies will allow accounts containing more than £50,000 to be closed without asking to see a grant of probate. But if you own property, shares or other investments valued above that limit then it’s likely your family will need to apply for probate. It’s worth remembering that the increased probate fees will be due on top of any inheritance tax that may have to be paid. The new probate fees won’t be deducted from the value of the estate to calculate the amount of inheritance tax due. The Ministry of Justice has pushed ahead with the probate fees increase despite massive opposition from lawyers and consumer groups so it’s unlikely they will change their minds. Everyone needs to be aware of the changes and take action now if they think their estate could be affected. There are steps you can take to avoid being hit by the probate fees ‘stealth tax’. Ask us about 3 methods you can use to prevent the new probate fees increase hitting your family. 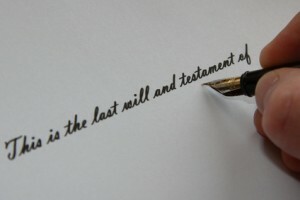 We have easy solutions that could save your family thousands and avoid your estate being hit by probate problems.